Glades residents want the federal government to rush funding for the rehabilitation of the Herbert Hoover Dike. 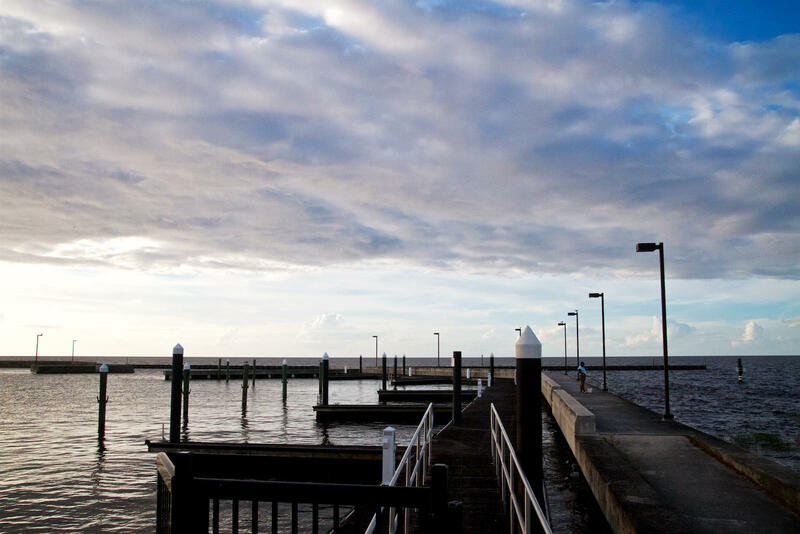 The water level at the Pahokee Marina, like all of Lake Okeechobee, has jumped three feet since Hurricane Irma. 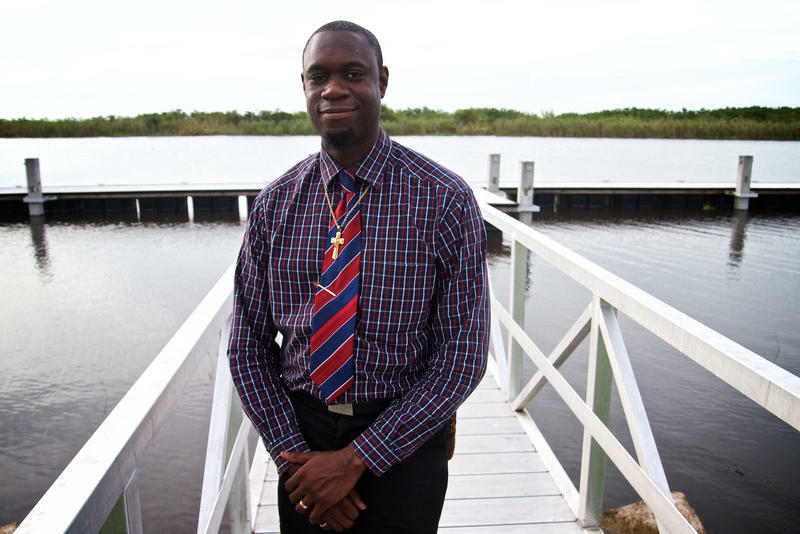 Pastor Albert L. Polk IV says his Belle Glade congregation is concerned about the water level in Lake Okeechobee. “I pray to God that the dam don’t break!” Polk said. Florida Gov. Rick Scott, left, and U.S. Army Corps of Engineers Col. Jason Kirk address concerns about the Herbert Hoover Dike in Clewiston on Oct. 9, 2017. 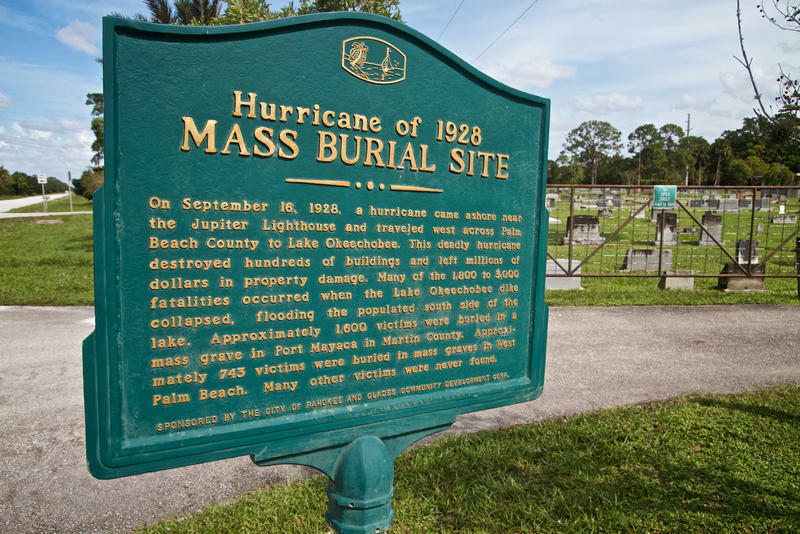 Around 1,600 people who died from flooding during the 1928 hurricane are buried in a mass grave at the Port Mayaca Cemetery. 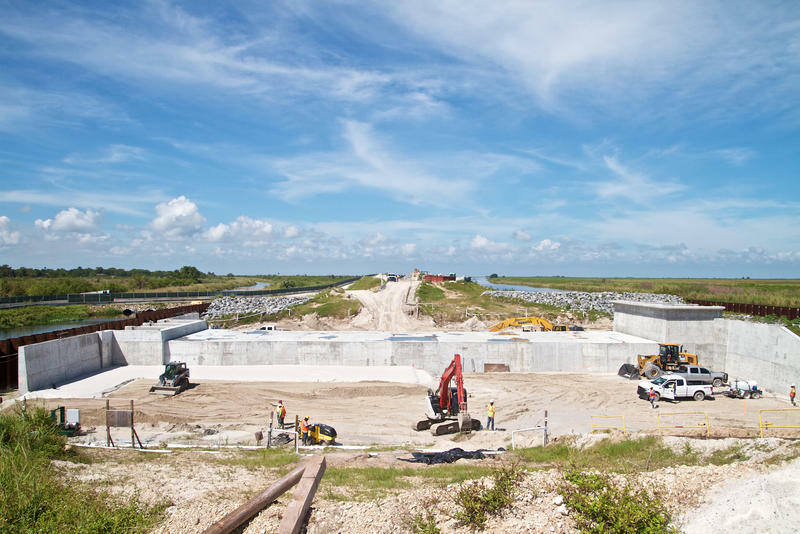 The U.S. Army Corps of Engineers has been working to reinforce the Herbert Hoover Dike surrounding Lake Okeechobee since 2007. 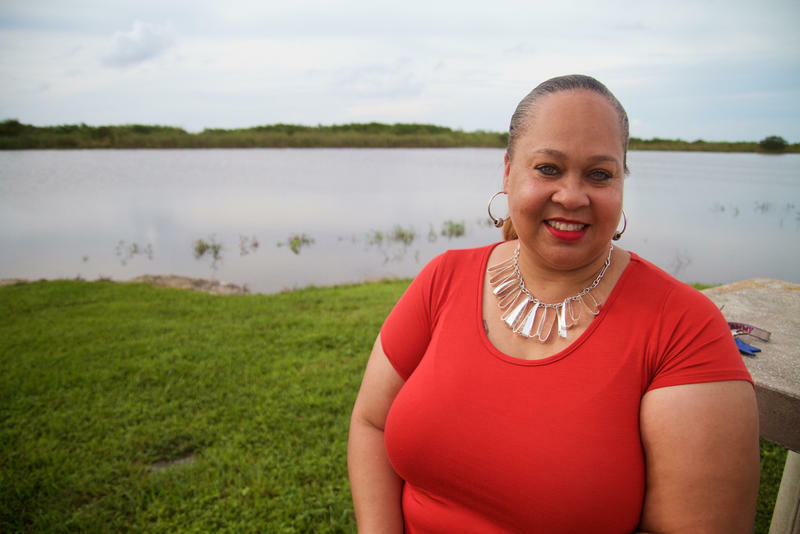 Tammy Jackson-Moore cofounded Guardians of the Glades to advocate for the communities around Lake Okeechobee. 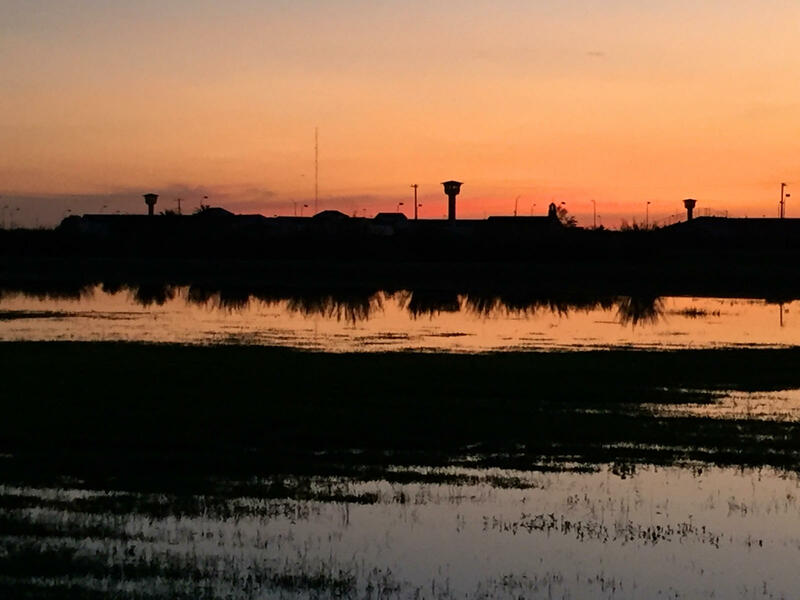 Rain from Hurricane Irma caused isolated flooding in Belle Glade on Sept. 12, 2017. 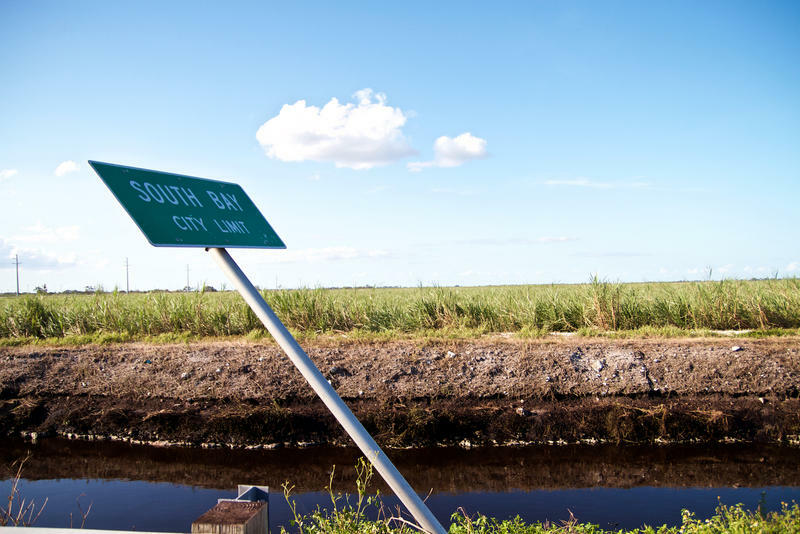 Wind from Hurricane knocked down some sugarcane and street signs in the Glades region. Floodwaters from Hurricane Irma encroach upon Glades Correctional Institution in Belle Glade on Sept. 12, 2017. 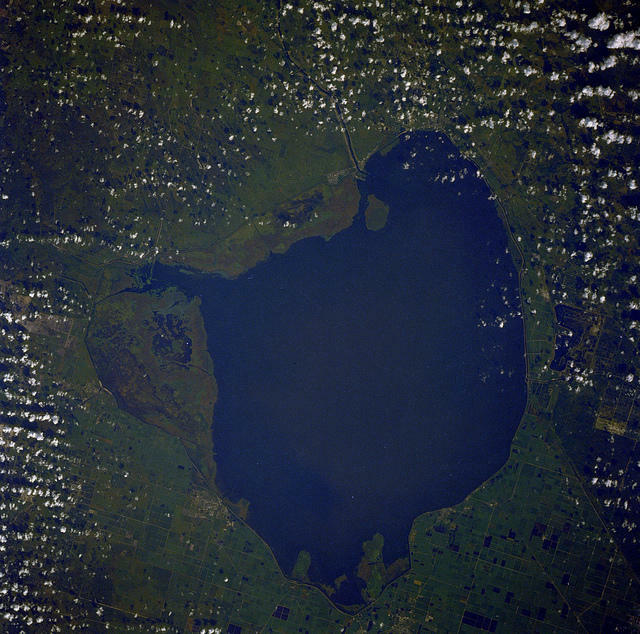 There’s a potential crisis building around Lake Okeechobee. The massive freshwater lake is about half the size of the state of Rhode Island and holds more than a trillion gallons of water — enough to cover all of Manhattan 23 stories high. All that water is being held back by a troubled earthen dam that surrounds the lake: the Herbert Hoover Dike. For years, experts have concluded it’s a disaster waiting for high water to happen. And now the water’s high. 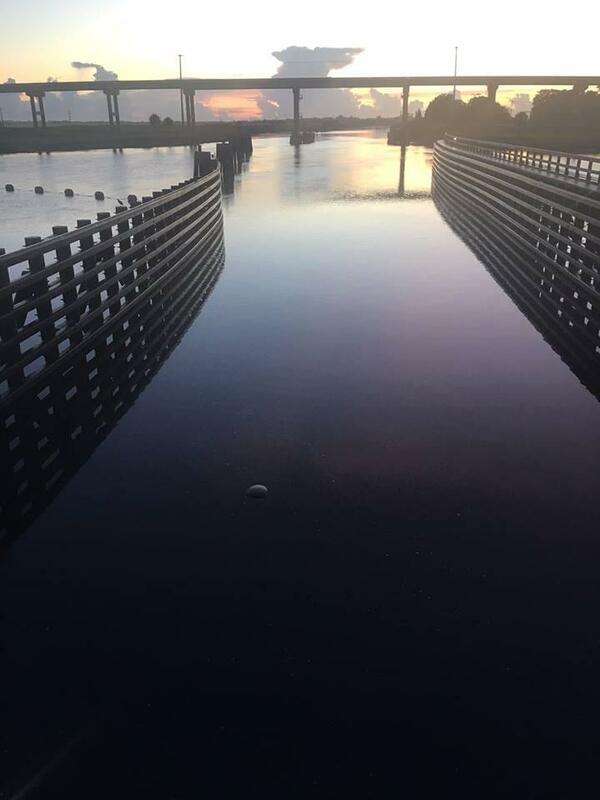 Rain from Hurricane Irma and other storms has caused the water in Lake Okeechobee to jump three feet as the rain has slowly trickled its way through streams and tributaries and into the lake. Now, the water is above 17 feet, an alarming level not seen in more than a decade. And in the Glades communities -- people living around the southern half of the lake -- there’s concern the dike could collapse. “It’s fearful,” said Janet Taylor of Clewiston. “If it breaches, what is going to happen to us?" Like all of Lake Okeechobee, the water level at the Pahokee Marina has jumped three feet since Hurricane Irma. One day before the arrival of Hurricane Irma, Florida Gov. 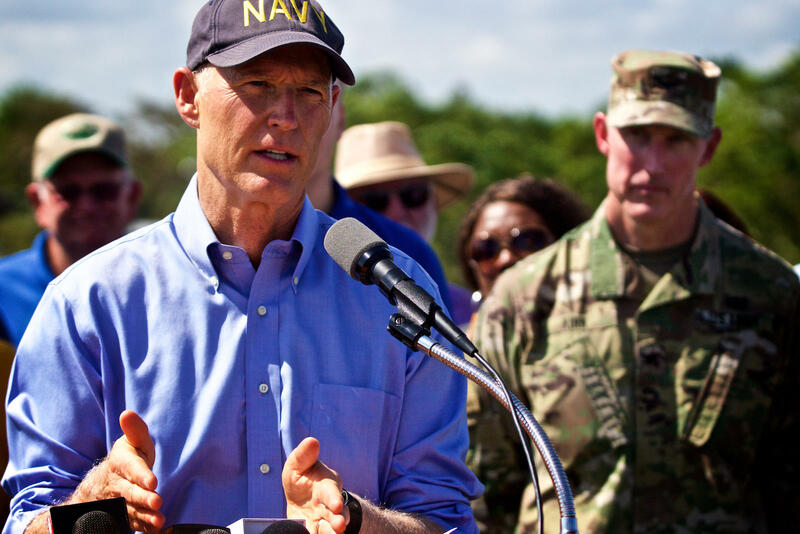 Rick Scott ordered an emergency evacuation of the entire Glades region over fears of flooding from the lake. It was an unprecedented step. The dike surrounding Lake Okeechobee is 143 miles long. Decades of erosion have weakened it. The U.S. Army Corps of Engineers has been working to reinforce it for the past 10 years. The $1.7 billion project isn’t scheduled to be completed until 2025 and is subject to changes in federal funding. So for now, the Corps is doing daily inspections to look for signs of trouble and fix them before they get worse. Engineers expect the lake to crest soon without major problems, according to Army Corps District Commander Col. Jason Kirk. “If we see any distress, your Army team has a plan to do any necessary of control of those distress areas,” Kirk said. That plan includes having material already in place -- dirt and rock and other things -- the Corps could use to basically plug the hole if the dike were to breach. But that’s not terribly reassuring to the people who live in the shadow of the dike with the specter of the last time it broke early in the 20th Century. “Thousands and thousands of people perished,” said Tammy Jackson-Moore of South Bay. Jackson-Moore co-founded Guardians of the Glades, a nonprofit advocacy group. In 1928, an earlier version of the dam failed when a massive hurricane roared over the lake. Catastrophic flooding killed more than 2,500 people. Some people climbed trees to escape the water, only to be bitten by poisonous snakes that were also taking refuge in the trees. It took weeks for the water to recede. Around 1,600 bodies were buried in a mass grave on the east side of the lake near Port Mayaca. It’s now part of a larger cemetery surrounded by palmetto trees and oaks draped in Spanish moss. Many people in the Glades have relatives buried in the mass grave, including Pastor Albert L. Polk IV. “Three of those people, we carry the same blood,” he said. Pastor Polk has lived in South Bay all his life. He says his congregation is concerned about the water level in the lake. 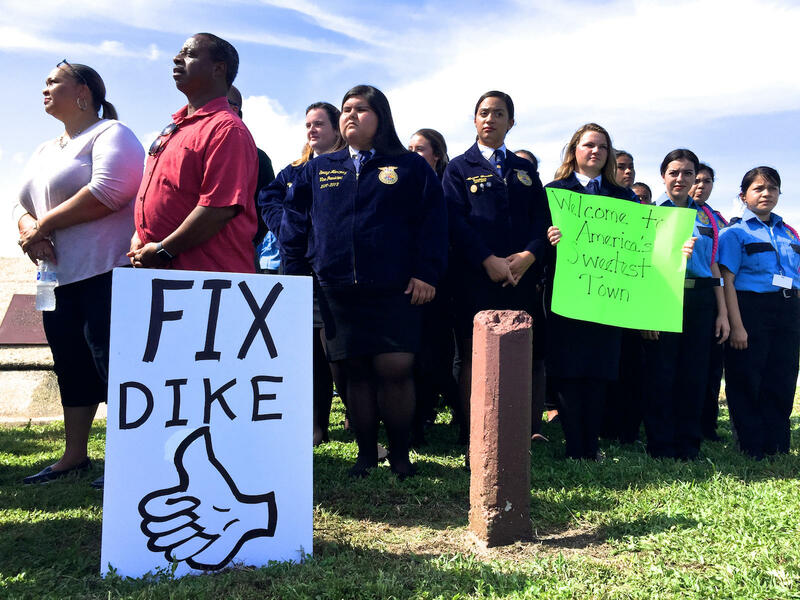 “You've got so many gallons of water that is sitting pressure on a weak dike,” Polk said. Polk said he knows he can’t swallow all that water. “So I pray to God that the dam doesn’t break!” he said. And with a month and a half left in hurricane season, everyone in the Glades is praying more storms don’t come. 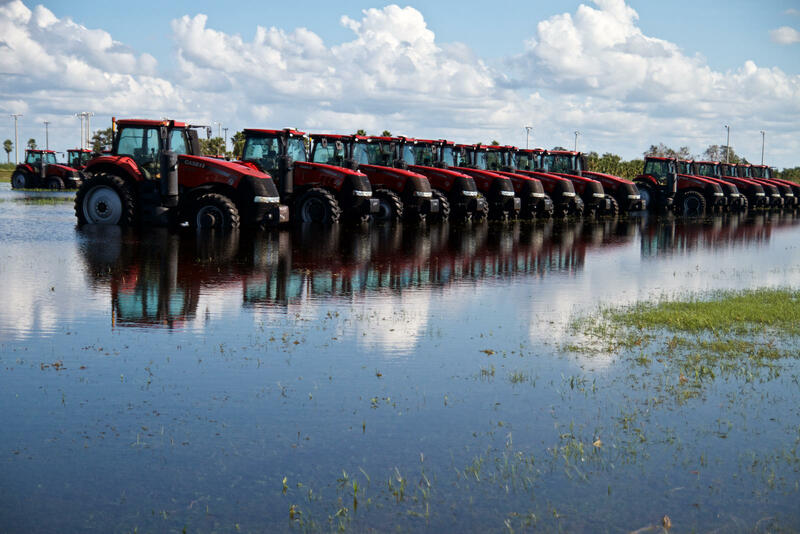 Excess water from Hurricane Irma is still making its way through Florida, exacerbating the significant water management challenges the state's faced this rainy season. Florida Gov. 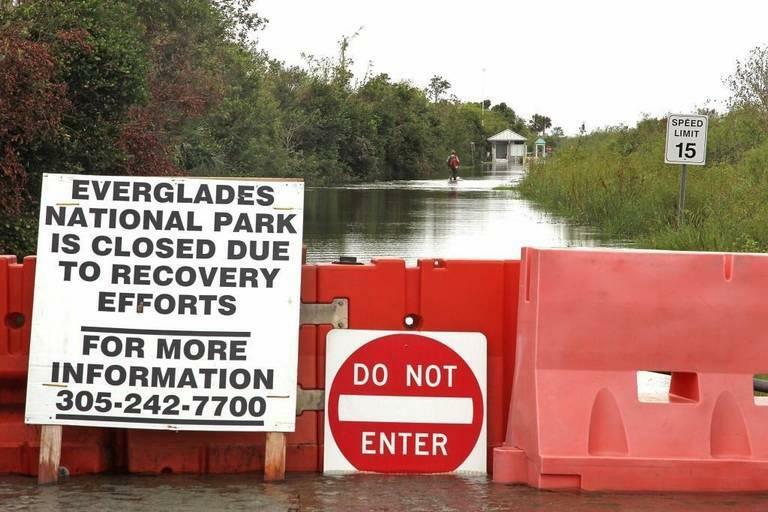 Rick Scott got an update from U.S. Army Corps of Engineers officials in Clewiston, Monday about the Herbert Hoover Dike around Lake Okeechobee. Scott’s visit came just a day after water levels in the lake surpassed 17 ft.